‘INSIGHT: The DNA of Success’ is a four-day business leadership intensive conducted by Isha Leadership Academy that explores the science of scaling up one’s business as well as one’s own self. 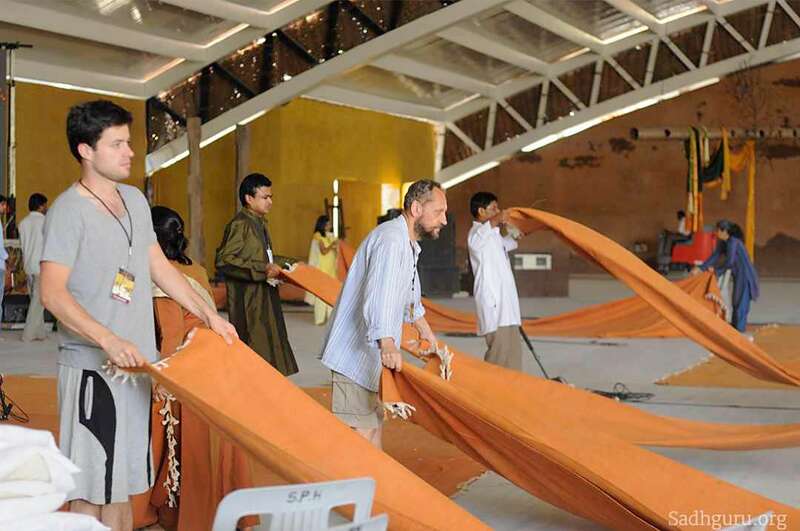 This unique residential program will be held from November 23– 26, at the Isha Yoga Center, Coimbatore. Through live case studies of iconic business leaders Kiran Mazumdar-Shaw, Chairperson & Managing Director, Biocon Limited, and Vijay Shekhar Sharma, Founder & CEO, Paytm , we will deconstruct their professional and personal lives to derive the secrets of their many successes. Professional mentors and practitioners from the industry and academia, led by our Faculty Chair professor Dr. Shailendra Mehta,President and Director of MICA, Ahmedabad, will be present to help the attendees address their specific challenges. Please click here for a complete list of Resource Leaders in 2017. Sadhguru offers his inspirational but delightfully simple perspectives on leadership and its many challenges, including ways to overcome those using subtle, effective methods. His idea of cultivating leadership as an innate, intuitive process does not rely on strategies and techniques, instead creating a pure inner balance and an insightful mind. Dissect and imbibe the DNA of their success. A galaxy of Resource Leaders, with over 500 years of rich industry experience, led by Shailendra Mehta will be available during the program to consult with on specific challenges you are facing in your business. More than 900 CEOs, CXOs and entrepreneurs have attended INSIGHT and benefited from it, making it an excellent platform to share learnings and network. You will get access to the INSIGHT Alumni group where you can continue to network even after the program. You will also be led through simple but powerful processes by Sadhguru to help develop an insightful mind, while being rooted in inner stability and balance. The program will be held at the picturesque and tranquil yet high powered ambience of Isha Yoga Center, creating the ideal setting to gain new insights, explore new ideas, introspect and connect with Resource Leaders and co-participants. From the moment you arrive in the beautiful surroundings of the sacred Velliangiri Hills your rejuvenation begins. The serene atmosphere of the Isha yoga center and Dhyanalinga meditation shrine has profound healing effects. Come – relax, renew, revive and rejuvenate. The Program Fee is INR 3,20,000 / USD 6,500 per person inclusive of all taxes. If 3 or more participants enroll from the same organization, each of them is eligible for 15% discount. If 5 or more participants enroll as a group, each of them is eligible for 15% discount. Only one offer can be availed at a time without being clubbed with any other. Please plan to arrive at the Isha Yoga Center by the evening of 22nd November as the program will begin on the morning of 23rd. The program is scheduled to end at 2pm on 26th November. So if you are planning to leave the same day, it would be best if you could find a flight at 5 pm or later as we are about 90 minutes drive away from the airport. Alternatively, you can book return flights for the 27th November. Complimentary meals and accommodation will be available to you during your stay from 22nd November till 27th November. You can substitute your registration with someone else without additional charges. Your request for substitution should be sent in writing to leadership@ishainsight.org and is subject to approval. If you cancel on or before 30th September 2017, you will be issued a refund, less a 10% administrative fee. Cancellations received between 1st October – 10th November, 2017 will be issued a 50% refund. No refunds will be made for requests received after 10th November, 2017. Please Click here to register for INSIGHT 2017. 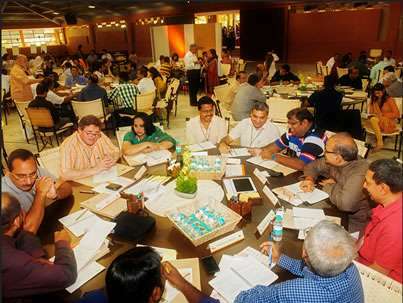 Isha Leadership Academy is being established by Isha Foundation, to offer the highest quality of leadership education in India, by integrating external skill sets with tools for well-being. It will focus on cultivating leadership as an innate and intuitive process – beyond strategies or techniques. Its guiding principle will be the importance of first managing one’s own mind, body and emotions, before one can manage external situations and people. Its aim is to create leaders whose human potential has found fullest expression, who are deeply rooted in their inner well-being and are able to operate from a sense of inclusiveness resulting in far superior actions and decisions. The Academy will offer a whole array of leadership education programs, ranging from a two year MBA or equivalent to shorter duration customized courses for those holding or aspiring to hold leadership roles in business, government, public service, civil society, politics and academia. Isha Foundation’s activities serve as a thriving model for human empowerment and community revitalization throughout the world. Supported by 2 million volunteers worldwide, the foundation has initiated several large-scale social projects, most notably Action for Rural Rejuvenation,Isha Vidhya and Project GreenHands. Rally for Rivers is a recent campaign launched by Sadhguru to revive India’s depleting rivers, which has found great resonance with and overwhelming response from the nation. The foundation’s activities have touched over 7 million people, and reach out to individuals irrespective of their economic, cultural or religious background. The foundation’s social outreach projects are designed to be easily replicable and scalable, and serve as a thriving model for human empowerment and community revitalization throughout the world.